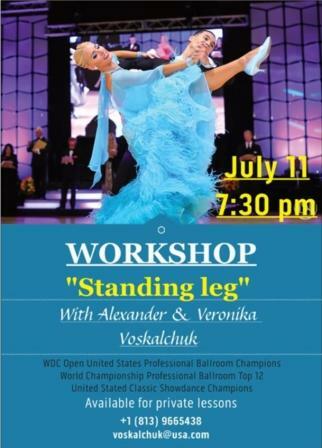 Goldcoast Ballroom & Event Center | Very Exciting!!! 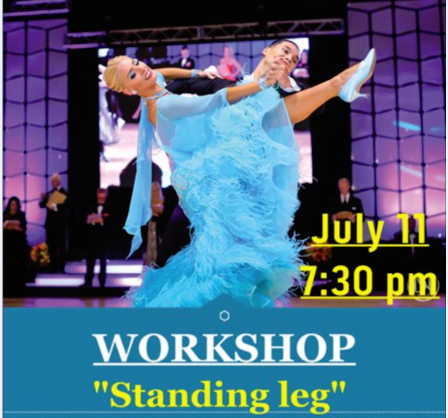 - Wednesday, July 11, 2018 - 7:30 PM - 8:30 PM - SPECIAL MASTER WORKSHOP - 'Standing Leg' - With ALEXANDER & VERONIKA VOSKALCHUK!! - WDC U.S. OPEN PROFESSIONAL BALLROOM CHAMPIONS!! 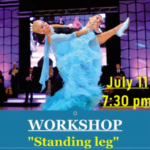 - $20 per person; $30 per couple - Also Available for Private Lessons! - Call to schedule! We are truly Honored to have them back with us! 2 Times U.S. National Professional Classic Show Dance Champions – and the Current Reigning Champions!! 7:30 PM to 8:30 PM! !